Friday September 14, 2018 - Embattled Migori Governor, Okoth Obado, owned up to his illicit love affair with the slain Rongo University student, Sharon Otieno, who was abducted and murdered in cold blood. Speaking while being grilled by detectives from the Directorate of Criminal Investigations in Kisumu, Obado even recalled one day that his wife, Hellen, busted him and Sharon red handed. 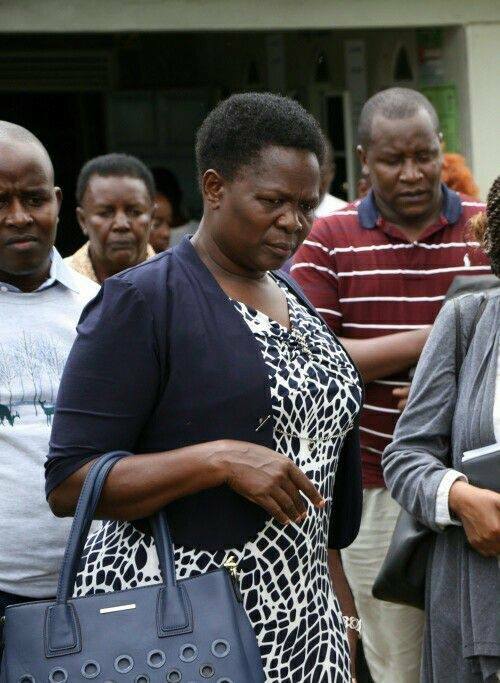 It was in April during the Devolution Conference in Kakamega, he and other County bosses were booked at Acacia Hotel when Sharon travelled to Kisumu and checked in at Imperial Hotel, using the Governor’s name. The manager at the hotel then informed him that Sharon had checked in to their usual room. Later that evening, Sharon called the Obado asking him to come to Imperial hotel so that they can have a good time together. At the same time, Obado also received a call from his wife, Hellen, who inquired about his whereabouts. She then dropped a bombshell. Hellen asked her husband whether he sure that he was at Acacia Hotel but when he insisted that he was there, she demanded to know who Sharon Otieno was. Hellen then warned Obado against going to Imperial Hotel saying if he dared, she would get the entire episode on camera as she had a team monitoring him. It is at this point that Obado called Sharon, out of scare, to say that he can’t make it for the night since madam was around.